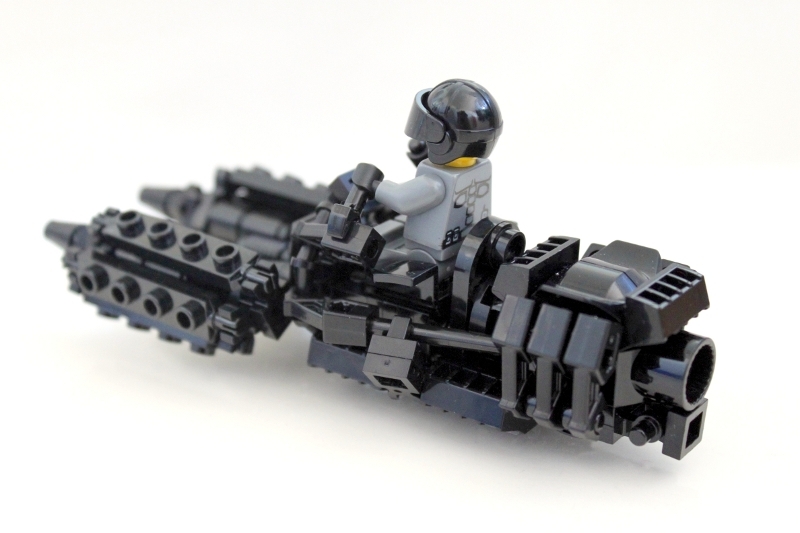 This is my entry for the Speeder Bike Contest 2010 over at Flickr. I MUST HAVE BUILD INSTROCTIONS!!!!! PLEASE!!!!! Wow this is amazing, like all your builds;) 5/5!!! Awsome Speeder.I cant build a great looking speeder such as this.keep up the great work! And thanks for the nice comment on my Raven! I agree with Ludgonious. I really like the front end of this! Since you commented on my attack helicopter, I felt compelled to check your stuff out and I'm glad I did! 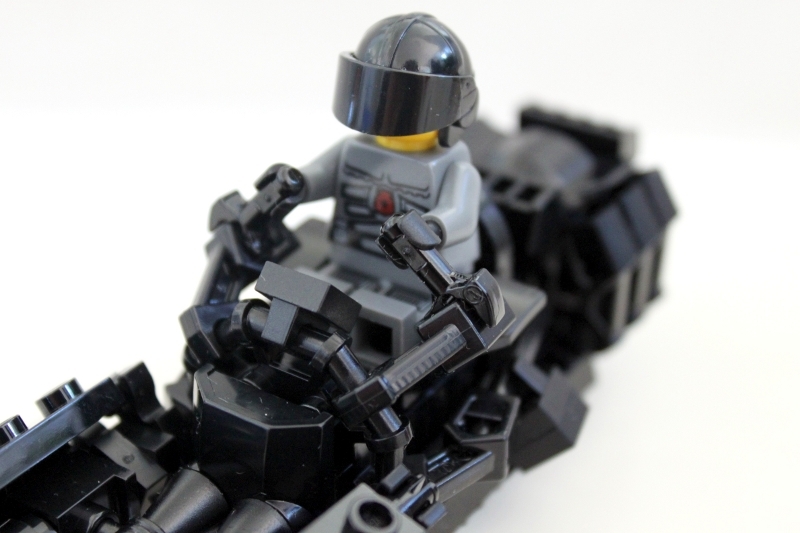 This speeder bike is one of the coolest MOCs I've seen! 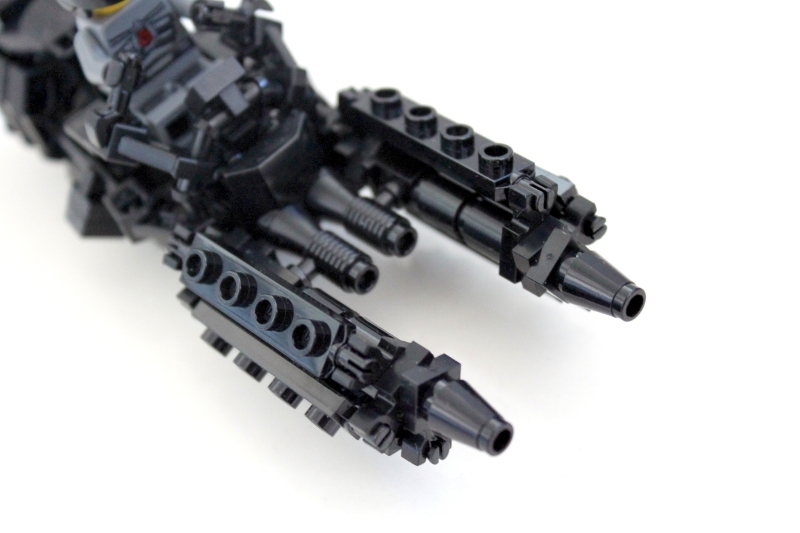 The usage of all black parts really makes the details stand out. 5 out of 5! Congrads, you won speeder bike contest best of the best! lets see if you can hold that title. oufff! this is so nice, and inspiring, it actually makes me want to try a wheeled one for the city! i love all the intricacy of this, masterpiece! a photoshoped pic of context would finish this beautifuly! excellent work shifu! Very nice. 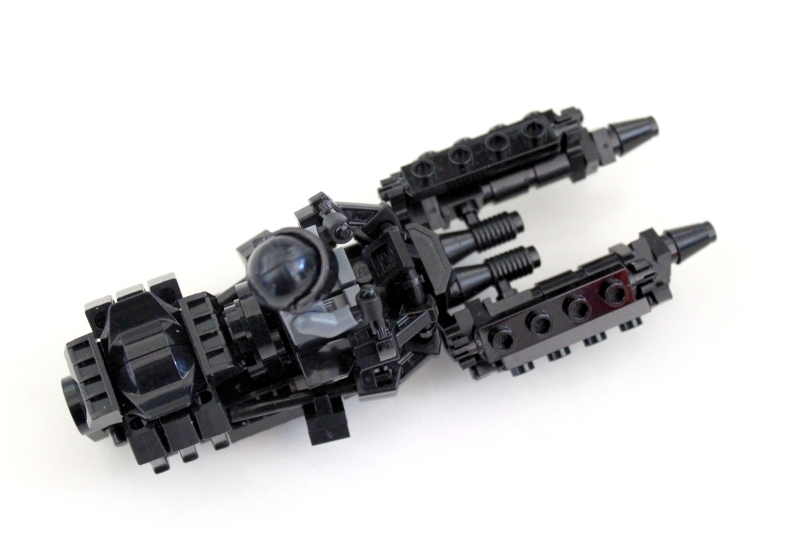 I do like the fact that it's all black, and that you used mostly small pieces. Great job. Very functional looking, especially for such small parts. Great work! I'm impressed by the amount of details you can cram into such a small area. Thats a creative use of tire axles. Great job! Wicked cool, hope it won the contest! Oh yeah! 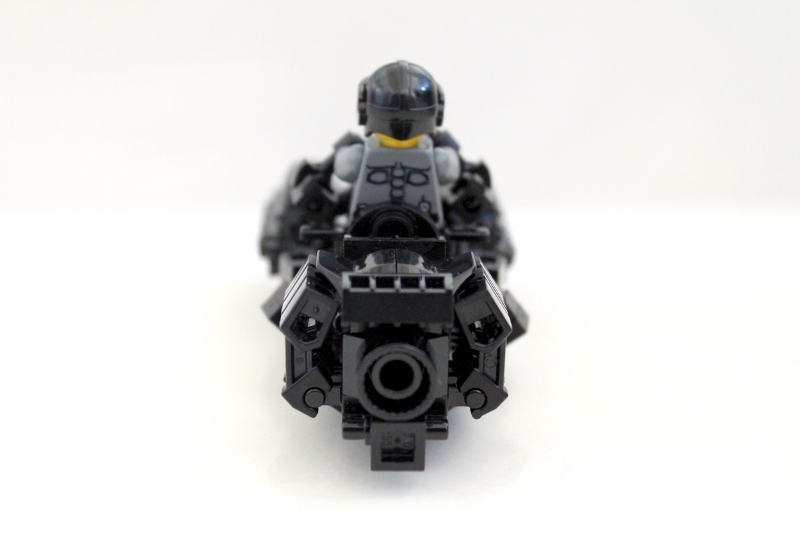 Black, cool and complex AND in minifig scale... I love the texture of the front pylons. I like how you attached the handle bars! Sick ride! It looks pretty nifty. 5/5 or 10/10, which ever you prefer! Whoa cool!! The shape is real nice as well as the detail. Great job!!! Nice design. Black looks really good on it. Great job. Nice job, I love all the unique parts put into this. Good luck in the contest! They're right, seriously cool parts usage. Very clever. Now, I've already done my charity donation this year with the toys for tots thing, but I'm seriously thinking about starting a "Let's get Shifu some colored bricks" charity here... ~ Chris. You are an expert with unique parts usage! You seamlessly put together more parts in your tiny builds than some people put into a massive diorama. Best of luck with the comp, it is a funky speeder bike. amazingm, very detailed and evil looking. Awesome design brother! I'm amazed you were able to wrestle enough pieces away from the brats to even build anything! LMAO @ Hans.....I think he nailed ya! HIYO!!! Quoting Mike Johnson You do so much with so little it's amazing! Awesome speeder bike! Definitely NPU! Most excellent speeder bike! Best of luck in the contest. 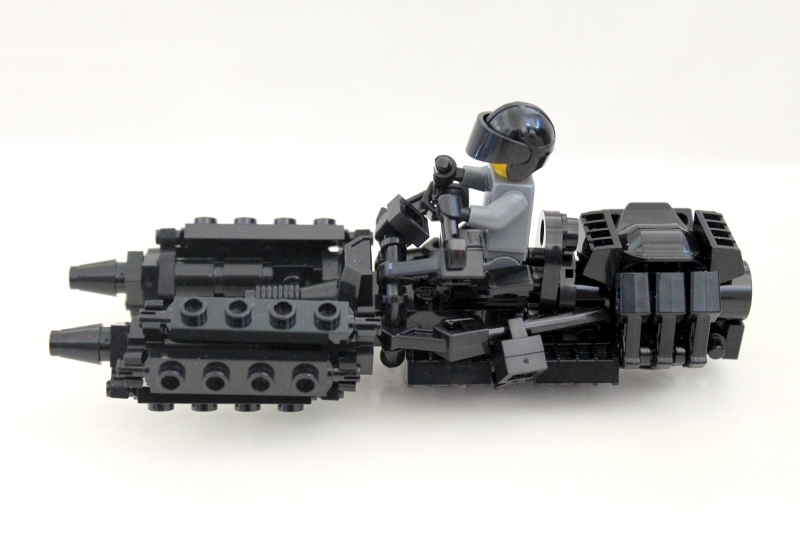 Wow, this is a really cool and detailed speederbike! I love the greebling. Wow, seriously nice PU throughout! Does it come with GPS and a DVD player...cause I'm lookin' to buy! Looks totally brutal. I love it. The empty studs are such beautiful details! Also the engine looks cool. Great work on this, it looks really mean. I particularly like the engine detail, good luck with the contest! Awesome speeder! These guns are just sweet! I always thought speeder bikes and ewoks don´t go along very well. Although this one is different; I'm sure even ewoks love it. 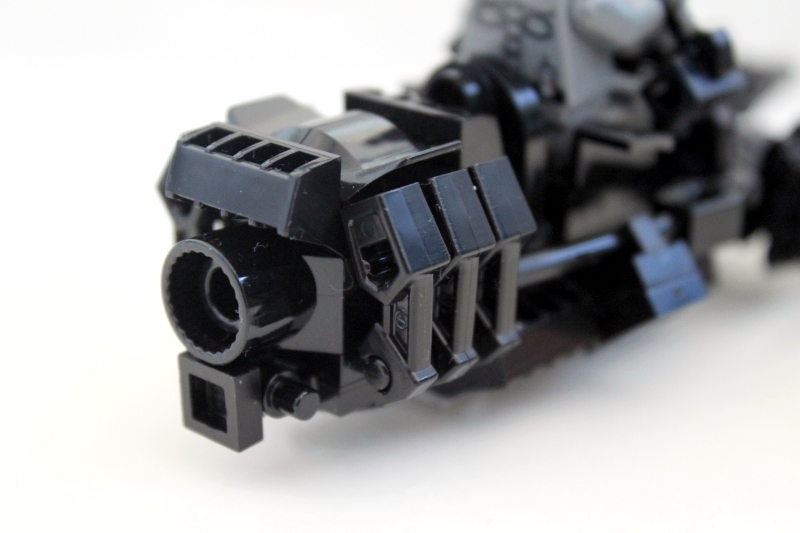 And I don't think it's possible to put LEGO® pieces closer together in a more clever way. Excellent. You do so much with so little it's amazing! Without a doubt you have earned your place among the prever... I mean premiere AFOL's here on MOCpages. Wicked! The handle bar construction is really interesting. I find this particular one has a more pleasing overall shape, your greebleliciousness. You certainly have the innovative parts usage down. Great work with those axles. You are an extremely talented and underestimated builder, Master! You sure know how to work the black magic! Very cool. I really like the front end! This is awesome! The only thing I suggest doing is adding some kind of windshield, if it's at all possible. Otherwise, this is sweet! And the cannons are great!